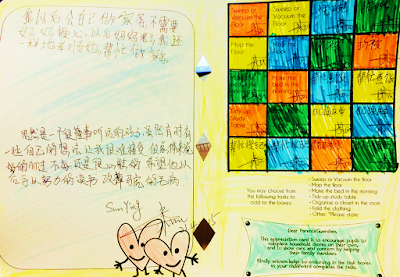 Welcome to the Endeavour Primary School's Character and Citizenship Education / Values In Action Blog! You will be able to find the latest buzz and the current activities related to Character and Citizenship Education / Values In Action that are happening in and around Endeavour Primary School. So, step right in to find out more and like us and leave us your comments! Based on the positive response received last year, our CCE/VIA team rolled out the Family Household Chores Appreciation Card project once again this year! We hope to encourage our students to assist their parents/guardians in doing household chores, as a way to show care and concern for their family members. It is also their responsibility to take charge of these tasks at home (especially of their own rooms). This year, we hope to also garner greater parents' engagement. We would like to encourage parents to pen down your thoughts upon seeing your child's efforts and work through the completion of the household tasks. Seen here is another of our P6 boys, Brandon Goh Yi Heng from 6B. 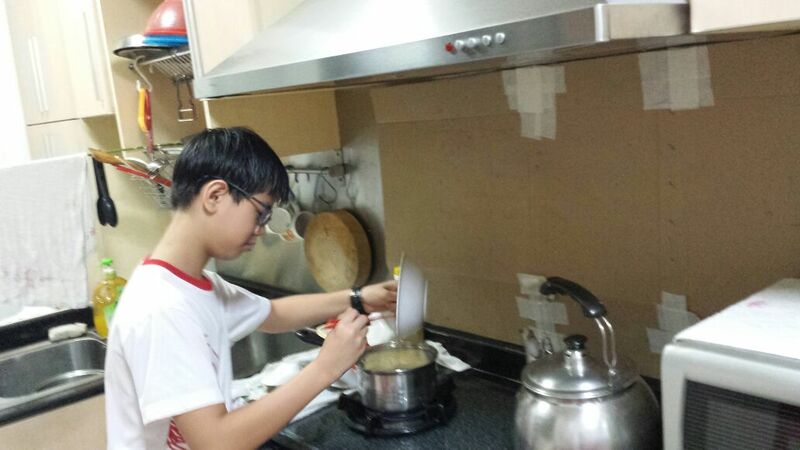 who is cooking instant noodles for his mother. 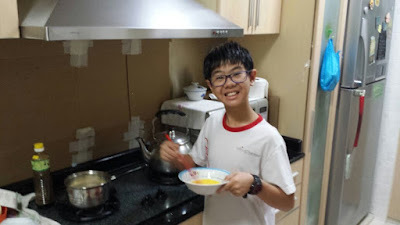 Brandon Goh Yi Heng (P6B) cooking noodles for his mother. Next up, this P3 girl is Juana Little Sia from 3B. She and her mother were making pancakes together. She brought the pancakes to school and shared with her classmates. Please remember to write down your Name, Form Class and Mother Tongue Class when you are writing your reflections and comments within the comment column. Online Contest: Have you been environmentally-friendly? Here are some of the Cyber Wellness Posters Designed by the Pupils!